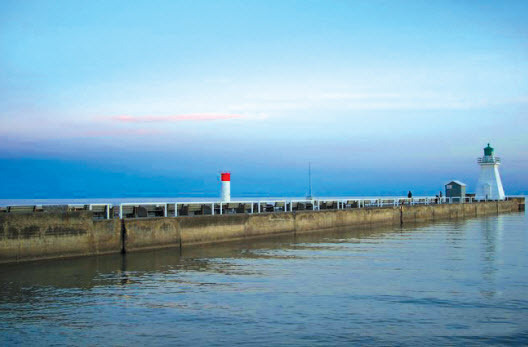 Norfolk County is a municipality that was created by the amalgamation of the smaller communities of Port Dover, Port Rowan, Simcoe and Delhi. Thirty percent of the municipality is covered with trees and is one of the last Carolinian forests in Canada. Once the centre of Ontario’s tobacco belt, farmers have now diversified thier crops to include lavender, ginseng and hazelnut. Agriculture is an important aspect ot the region’s ecnonomy. Nortfolk County is one of Canada’s most diverse agricultural communities. A major source of employment is the tourist industry, which has increased through the years with help from the municipalities of Norfolk County who promote the county as “Ontatio’s South Coast”. Simcoe’s park system includes many hiking and biking trails that convert to snowshoeing and cross-country ski tracks in winter. The Norfolk General Hospital provides quality care for the people of Nortfolk County. There are 500 dedicated employees and 34 active physicians who service the hospital. An additional 40 physicians act as consultants or visit the hospital to add specialty services. Delhi is also home to the Delhi Family Health Team. The Victoria Order of Nurses, a not-for-profit organization, also serves the Norfolk region, providing quality care through a number of facets.